In 2017, I read 305 books. For 2018 I plan to use a sheet to track my reading. Here’s to another year of reading! This was a big week for reading. I had a little extra time and I finished several books that I had started a while ago. I started with Dear Fahrenheit 451: Love and Heartbreak in the Stacks: A Librarian’s Love Letters and Breakup Notes to the Books in Her Life which sounded like a good idea and was cute but if anything it was too cute. Trying too hard to be cute. I read Inherit the Wind for our Lit Club with the middle graders. I had heard of it but never read it. I am glad I did. It’s funny! Nathaniel was reading Rain Reign for his Lit Club so I read it alongside him to help with his understanding and homework discussions. It is a fantastic book if you have a 3-6th grader. I had attempted Seven Days of Us unsuccessfully before but decided to tackle it this time and I liked it. It wasn’t pithy or amazing but it was still enjoyable. I had also attempted How to Talk So Kids Will Listen & Listen So Kids Will Talk before but hadn’t managed to finish it. I finally did. Solid ideas but nothing super-new to me. If only I could actually implement these consistently. I wasn’t sure if I would like A Uterus Is a Feature, Not a Bug but decided to give it a try and enjoyed it enough to keep going. Worthwhile for me. The Story of Arthur Truluv is Elizabeth Berg’s new novel and I love her. She did not disappoint. So sweet, this one. I bought Invincible Summer on Audible months ago and hadn’t read it so I decided to finally read it. I was a sweet tale of 3 friends. It wasn’t the best book I read but it was okay. Young Jane Young is by Gabrielle Zevin who wrote several books I’ve loved reading. So I’d bought this one on Audible too and finally read it. It was good but not great. When I was at my YA Book Club earlier this week, my friend Angela recommended Far From the Tree which just won the National Book Award. She said she really liked it and I had just checked it out from the library so I decided to read it next. It was fabulous. Relatively good week of reading. Two more weeks left in this year. Here’s to more reading! I skipped Erdrich’s previous novel but I loved the one before that (Round House) so I was excited to tackle her new dystopian novel: Future Home of the Living God. And while it was hard to read (because let’s admit it, none of her novels are easy to read – subject-matter wise) I enjoyed this book. I connect with her writing style even if I’ve had enough of dystopian for a while. I picked up The Gentleman’s Guide to Vice and Virtue for my Young Adult book club and I wanted to like it because everyone seems to have. But alas, it wasn’t for me. I don’t seem to connect with characters that go frolicking around regardless of what century they are in. Your Best Year 2018: Life Edition was my new reflection/planning purchase for this year. I did 14 pages of journaling thanks to it on the plane to Sydney. I am enjoying using this book so far and look forward to continue using it. I’ve read all the pages up until the planner part starts which I will use in January. I also finally got to read The Heart’s Invisible Furies which I’d checked out twice before. I made a list of books I want to make sure to read before 2017 is over and this one was on my list, so I decided I was going to tackle it for once and all. I am so so glad I did. I love love love loved this book. Even though I find Irish literature so difficult most of the time, this was a fantastic book. It was touching and funny. Some of the best dialogue I’ve read in a while. Loved this one. The Deal of a Lifetime is a short story by the wonderful Backman. I figured he wouldn’t disappoint me and of course he didn’t. It’s super fast read and I read it twice. Fewer books this week since the Boyne book was so long. But so so worth it. I’d checked out Fierce Kingdom a few times this year but didn’t manage to read it before. It was finally time. I’d read the author’s previous novel as well and hadn’t realized it was the same person until I was done but afterwards I did think about how it felt similar in atmosphere to the first book even though that one takes place in a women’s jail. This was an interesting read. I was really looking forward to The Power which sounded like a super-interesting premise but in the end I feel it dragged on and on and on. It would have been much more interesting if it were half as long. I had a hard time getting through this one. Insight was a quick read and gave me some thoughts to ponder. I spend a lot of time reflecting so there wasn’t anything super incredibly new here but I always like books like this. I also finally got to read The Weight of Ink which my friend had recommended months and months ago but I had never gotten around to reading. It finally became available in the library and I jumped on it and then used my long flight to Australia to listen. I loved this book. Historical fiction is not my genre and neither is Jewish history. But this was wonderful. Long Way Down was a quick but impactful read. Then it was time to grab All the Crooked Saints because I love love love Stiefvater. I had heard this wasn’t her best but I am going to disagree. I loved it. I love her. I then moved to Five-Carat Soul. Short story collections aren’t really my thing but I did read and love his previous book. So I loved the first story and liked the second one okay, but then I stopped reading because really short story collections are not my thing. On book number 272 now. 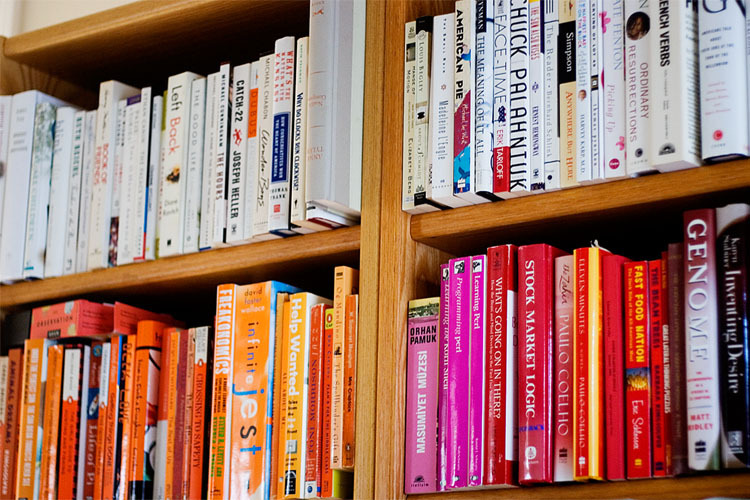 Here’s to a few more awesome books, especially for the long flights ahead. was next in my library queue. I wasn’t sure what it was about but wanted to read it anyway. I am glad I did. I liked it. Nothing amazing but a lovely book. I also finally finished Full Cicada Moon which I was reading for Lit Club in my kids’ school. I love love loved this book. I cannot recommend it enough. It can be both Middle Grade and Young Adult. I loved it as an adult. Permission to Screw Up was a quick and easy read about someone I didn’t know at all and a topic I am not usually interested in but it was still interesting and thought provoking. I also finally got to read The Golden Compass which has been on my list for years and years. It was fantastic. It was time for some mindfulness so Real Love was the perfect choice for that. I love Sharon Salzberg. Celebrations was super-quick and my first Maya Angelou. I loved it. I was dying to read Bonfire because I had heard it was a great read. I had to wait patiently until some of my other library reads were done and it was worth the wait. I read it all in one sitting and really enjoyed its fast pace. Book number 265 now. Here’s to a few more awesome books, especially for the long flights ahead. Sometimes I get to a point where I don’t feel like reading anything that’s in my list of books. I have piles and piles from the library and then I start at them and nothing jumps out at me. This is where I was when I finally picked up We Need to Talk: How to Have Conversations That Matter and it was the best transition book. It was interesting, not super long and engaging. I knew nothing about the author and had no preconceived ideas. I enjoyed it. I then moved on to Lagom: The Swedish Art of Living a Balanced, Happy Life because I knew it would be light and easy and still fun and useful, and it was exactly all that. I then finally felt like reading more but still not sure so I chose Dear Martin which I thought would be right there. and it was. I liked it a lot. I am glad I read it. I knew very little about Heather, the Totality except that it was by the person who wrote Mad Men and it was really short. I figured there was no harm in picking it up and giving it a try. Before I knew it, i had already finished it. It wasn’t my favorite. Ended abruptly. Felt like it was a character study but with characters that weren’t worth studying. I then decided I was ready for The Snow Child even though i knew it would be depressing. It was actually not as depressing as I worried it would be and I ended up really liking it. Sometimes it’s finally the right time and mental state for me to read a book and this was that. I have a few books that are underway and I am looking forward to Thanksiving downtime and the flight to Sydney to read a bunch more on my list! I’m a fan of Alice Hoffman and I knew I was going to like Rules of Magic and I wasn’t disappointed. She has a way with words and characters that I always find myself getting lost in her books. This one was no exception. I am not sure what compelled me to read Reset. While I work in Silicon Valley and am no stranger to all the issues around being a woman, I am not sure Ellen Pao is my model for how to make things better. But I picked it up and started it and found myself wanting to continue. I am glad I read it but there are other people who inspire me a lot more. I especially feel inspired by a friend at work who continues to help me think differently about all of these issues and to challenge myself and the people around me and the company, too. I then grabbed A Short History of the Girl Next Door which was a light read but not at all what it promised to be. I didn’t dislike it but I also didn’t love it. I was looking forward to Dunbar which is the newest installment of the Shakespeare retellings. This one is on King Lear, one of the best. But alas this particular retelling didn’t speak to me. Partly because the audio was terrible and partly because I just didn’t like the plot/perspective the author took for the retelling. I had started Almost Sisters a few months ago but never finished it. When it came up in my queue again, I decided I would finally finish it. It was okay. It was an enjoyable read. But I just want better books at the moment. I also finally finished Grit which gave me a lot to think about around how to live my life, raise my kids and make decisions. I am still thinking about it and maybe I can find ways to incorporate it into my 2018 planning a bit. Here’s to more reading this week! I’ve liked Jennifer Egan’s previous books but I wasn’t sure about Manhattan Beach especially since Historical Fiction and I find that genre to be hit or miss for me. But I really enjoyed this book. I read it all pretty much in one shot. Sing, Unburied, Sing however was a different story. I started and stopped it many, many times. I wanted to not finish it but then felt like I should. After many weeks, I dragged myself through it and I am sorry that I did. It was devastating. 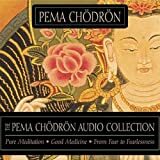 To heal myself, I moved on to The Pema Chodron Audio Collection. She is always what I need. Again and again. I am now almost done with The Wisdom of Sundays which is also healing, thought provoking, and really good for me. I read about Everyone’s a Aliebn When Ur a Aliebn Too in a blog I read where the person said it was their best read of the year. I had never heard of this author so I must be missing some context because I wasn’t crazy about it at all. I knew I would like The Power of Moments: Why Certain Experiences Have Extraordinary Impact and I wasn’t wrong. Great book that I want to read at least once more for practical steps I want to take. The Strength Switch: How The New Science of Strength-Based Parenting Can Help Your Child and Your Teen to Flourish was also very practical and I loved it. I love the idea of the perspective shift this book recommends. I will need to read it a few times. I read Towers Falling for the 5/6th grade Lit Club I teach at my sons’ school. It was about Sept 11, which I lived through in NYC. I didn’t like the book for a multitude of reasons. It was also the first time I read a book and listened to it where the narrator was incredibly awful. Above and beyond bad. I am now almost done with Autonomous and even though I read all of it, I can’t fully tell you what it’s about. I mean I can but not really. Not sure it was worth all the time. Here’s to more & better reading this week!